gardenbliss: Cold, cold , cold! The weather is freezing here in Melbourne today, as the wind feels like ice. In order to garden a large number of layers of clothing need to be applied. 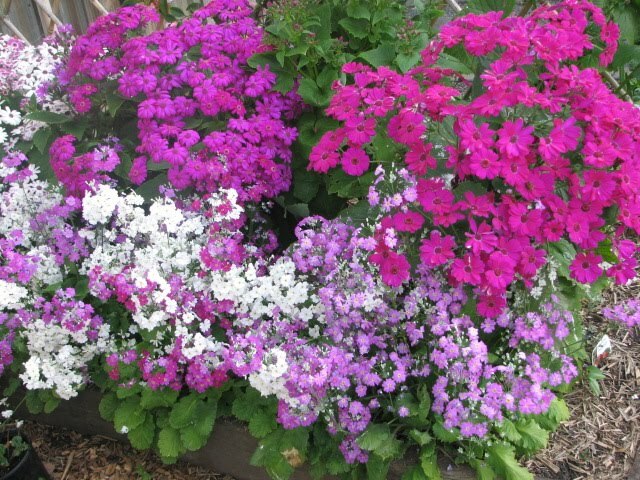 It is so easy now that the temperature has dropped to simply stay indoors and put the gardening clean up off till another day........or month. So beanies go on, scarves, and thank goodness for the gardening gloves. I'm being very brave and doing my hydrangeas today, as they need to be cut back in time for spring growth to happen. 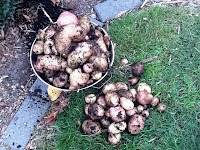 The photo is the last lot of the potatoes I harvested. 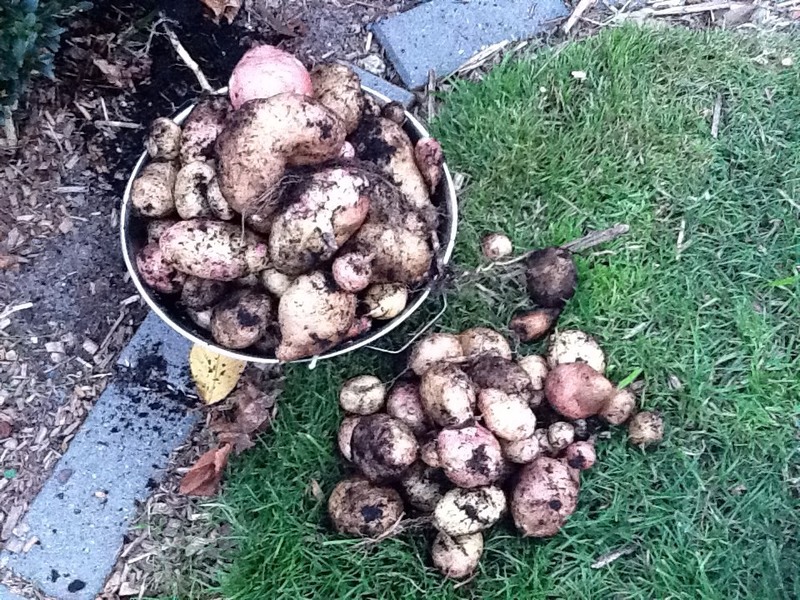 The kids love digging to find the spuds, it's like digging for gold and seeing how big they can find them.